I am probably an typical analytical thinker who spends most of his time examining the process and technique of capturing images. 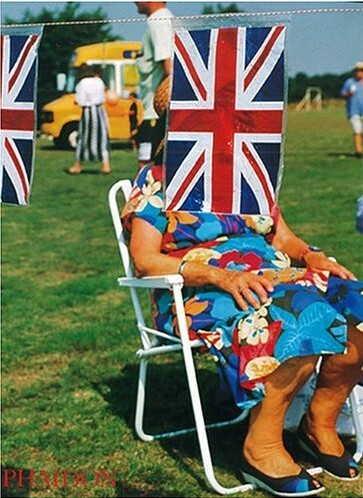 In this respect it's a surprise that I am reviewing here a book of images from Magnum photographer Martin Parr. At another level, I love great photography and how it can be used to convey a powerful message. My daughter first showed me this book whilst out shopping in Manchester and it really stuck in my mind. In the end I had to have a copy and am so pleased that I made the purchase. Flicking through the images is a joy; the images are very cleverly constructed to convey the message of the title "Think of England". What is really interesting is that the images are of everyday objects and events that we probably don't notice as we go about our business. But taken in isolation from the environment and grouped together into this book, they convey a rich sense of "England". An England that doesn't really exist except in the mind but one that we will all recognise. This is a great book by a very accomplished photographer. It can open your eyes to a whole new world of image making possibilities all around.